It was no ordinary house move when a Junction City, Oregon family decided to relocate an old farmhouse to their new property. Movers decided it would be easier to travel across fallow grass seed fields. 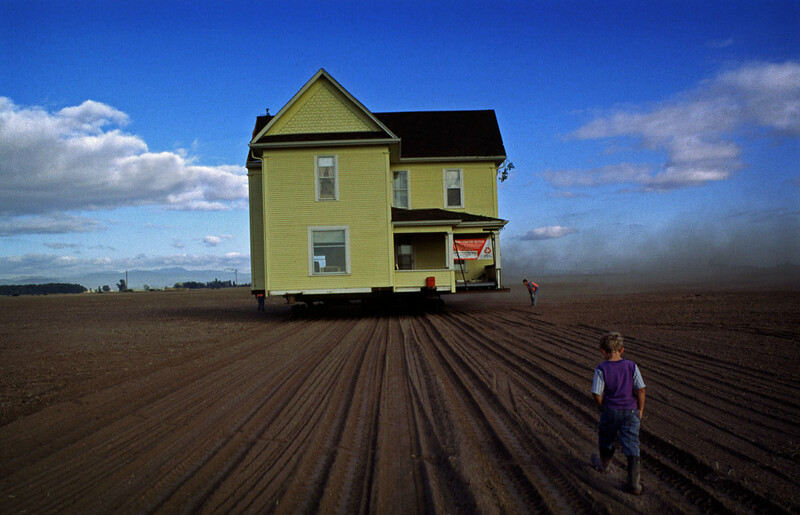 This created an interesting visual effect but the semi-truck pulling the house on the other side was testament it was definitely not floating.